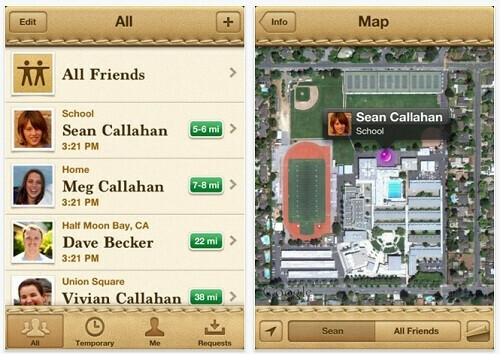 Find My Friends is the ultimate app for the perpetually lost and - of course - ever curious parents. One of the neatest and most practical additions to iOS from Apple, the app has hit the App Store and it’s now available as a free download. That is only for those running iOS 5, which is still not officially outed, so you might need to wait for a little while. So you probably wouldn’t be much surprised if we told you that Find My Friends... well, finds your friends and let’s them see where you are on a map in a Latitude-ish fashion, but it seems even more advanced. You can set the exact time frame when your location will be broadcasted to your buddies and the people you’d share it with, so privacy is well dealt with in the application. Possible applications? We’d say that this is the ultimate app for paranoid parents - they’d be able to check on their children location all the time, but humor aside, for every parent it’s a welcome addition and could bring relief. You can also find your friend at Disneyland, for example, or at the mall. 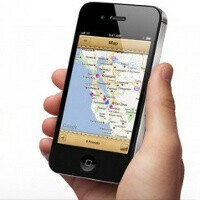 Luckily, the app is available on the iPhone, iPod touch and the iPad. and the app will be to blame because no murders were commited until Apple came out. No, but Apple sure is making it easy for stalkers and killer alike. can this find steve jobs ?? I had iOS 5 already...just checked, apparently it's downloadable now. iOS 5 was just released! Really? Can you even limit it for a finite time, and choose who gets the privilege of finding you?